Is it wrong to aspire for a cool birthday celebration? I don’t think so. 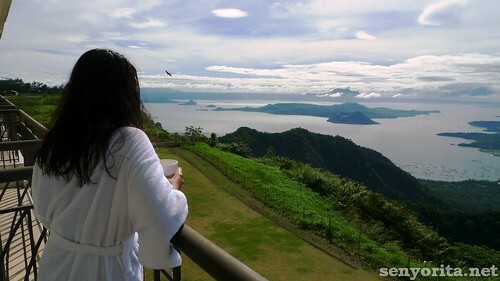 Early this year, I spent the first weekend of January in Taal Vista Hotel in Tagaytay City. I, together with some of the fun-loving travel blogger friends of mine were invited for an overnight staycation spree and we enjoyed it. 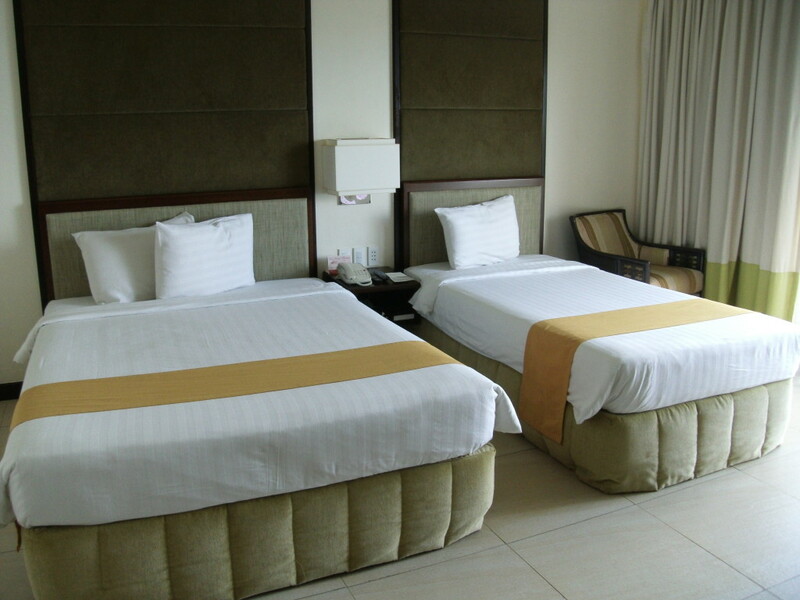 Stuffed with good food, pampered with a good massage and comfortable sleep, it is the ideal weekend getaway one can possibly imagine. 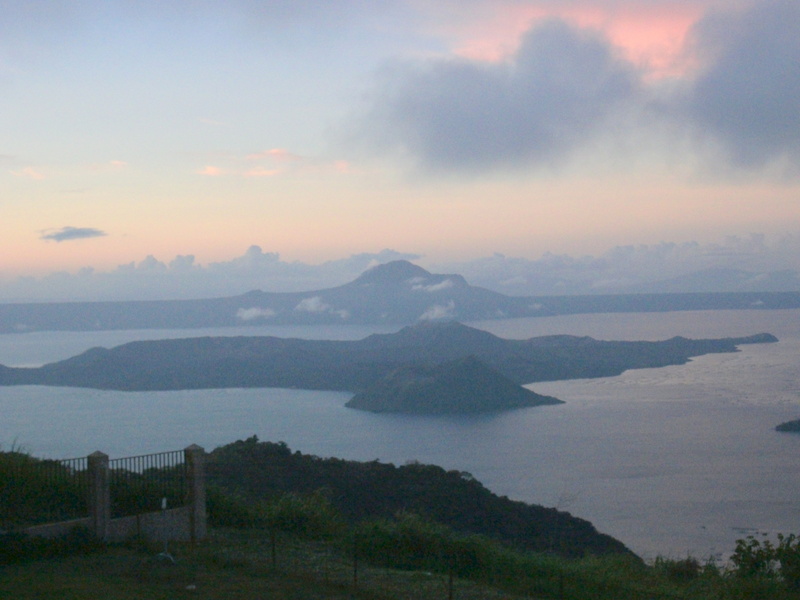 The weather is a big plus too and the fact that you get to see a good view of the Taal Volcano makes it worthwhile. When you’re single, it is up to you to make your â€˜dream birthday celebration’ a reality. I laugh every time some of my friends who are in a relationship contemplate whenever their partners don’t live up to their expectations. Maybe I am saying this now, but I simply want to write it down so I can laugh at how inconsiderate I am with other people’s thoughts on birthdays and relationships. 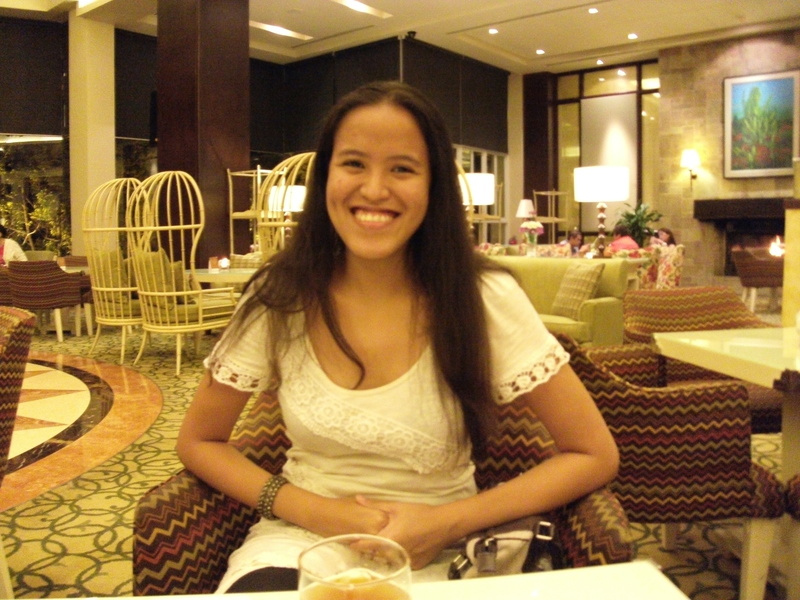 I originally planned to fly and stay in a beautiful hotel room in Hong Kong. After all, why not give myself the best gift ever. I haven’t been there since I was little and I heard and read so much about it from my friends, who happen to be bloggers, that I decided it was time for me to explore the city. Then I thought that a relaxing few days on the white sandy beach by the ocean would also be a good idea to celebrate my birthday. As fate would have it, I end up delaying the booking and was almost convinced that I am meant to just stay in my room as I grow a year older. The alternative plan is to do a solo trip to Sagada. Why not conquer the highlands this time? Nah. While having dinner one night with my grandparents, I realized that I haven’t really celebrated my birthday with them in a very long time. Last year, I enjoyed an Island Hopping Tour in Davao with blogger friends. 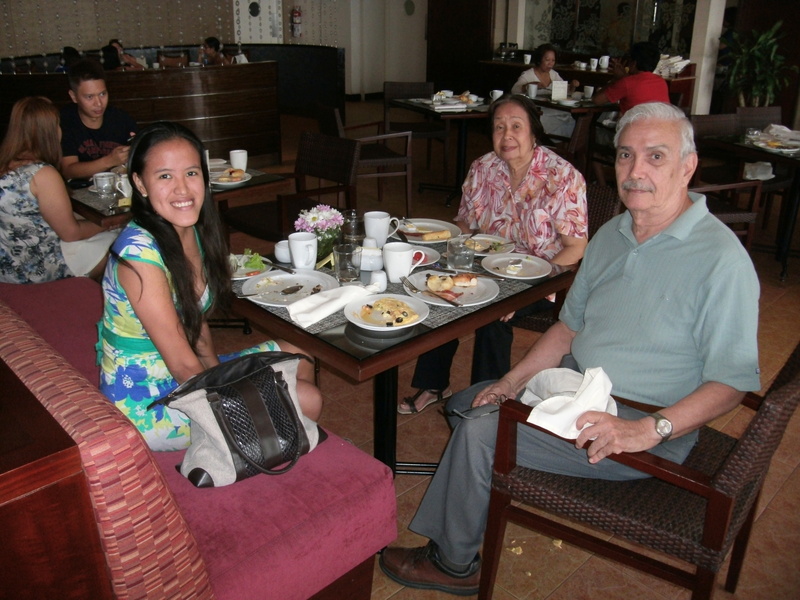 I then asked my grandparents if they would love to celebrate my birthday with me in Tagaytay. Early morning of May 5th, we drove from Manila to Tagaytay. The trip went smoothly. Yey, no traffic! It was in this road trip that we realized that Sta. Rosa, Laguna is a livable city. As for our road trip soundtrack, we tuned to the FM station that plays easy-listening songs. I am fueled with much positivity as we approach our destination. We ate lunch at JT’s Manukan Grille. 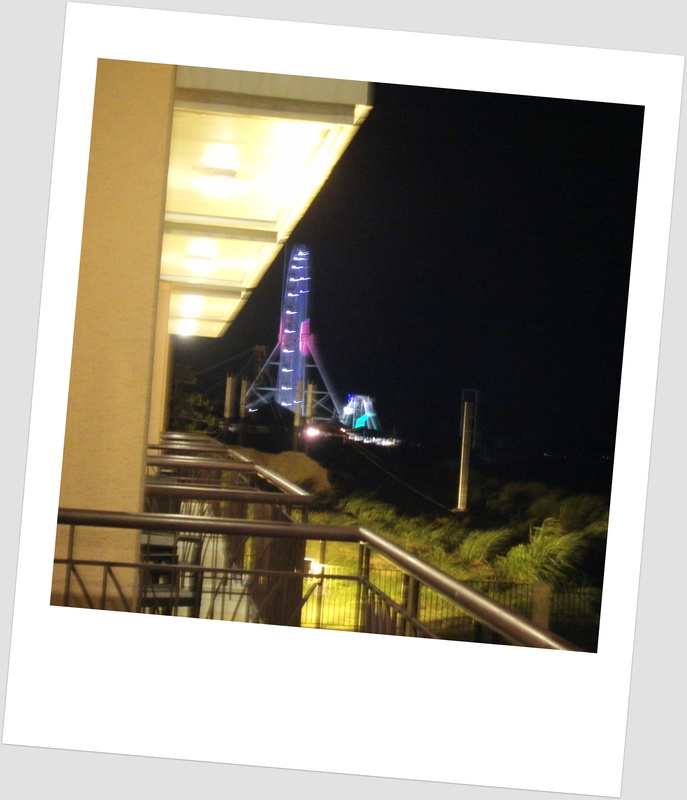 I had a great time when I went there with friends last year. My lolo is also curious on the food and location. 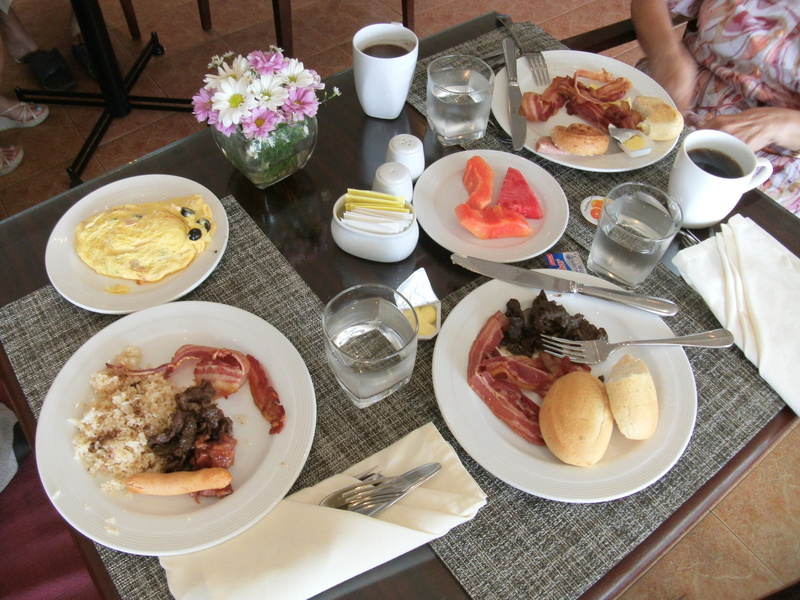 We then went straight to Taal Vista Hotel for check-in. There were numerous guests mostly balikbayans with their families. My lola chatted with a woman in her late sixties, who narrated how happy and proud she is with her son’s accomplishments. I am pleased as we arrived at the room, which is once again at the Lake Wing. This is what I want â€“ enjoy a staycation in a cool place with the people who truly matters to me. Words cannot describe how happy my grandparents were when we entered the room and instantly took a peak of the view from the balcony. â€œWe should drink coffee here later. I have biscuits here!â€ Lolo said enthusiastically. The three of us decided to take a short nap first since the trip is quite exhausting. The rest of the afternoon was spent watching tv and answering emails. Where to eat dinner? 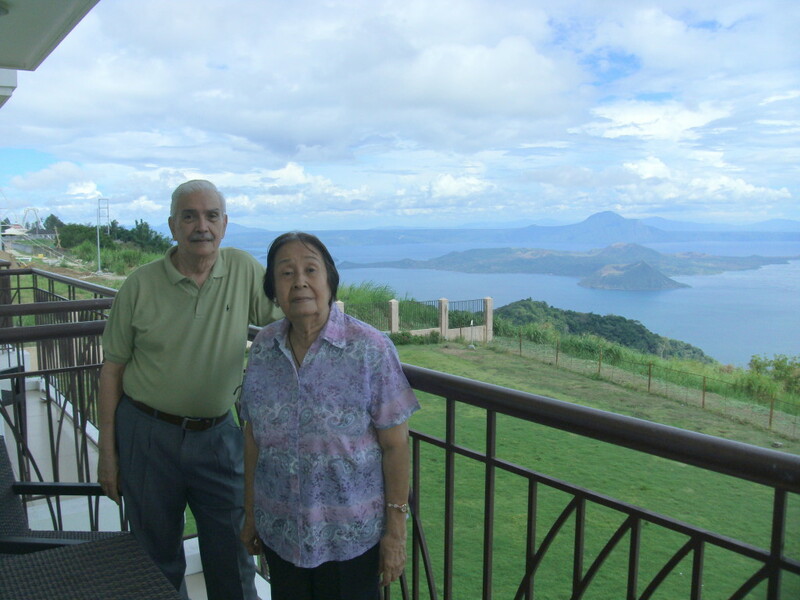 Lolo and Lola proposed that we should just eat at CafÃ© on the Ridge. 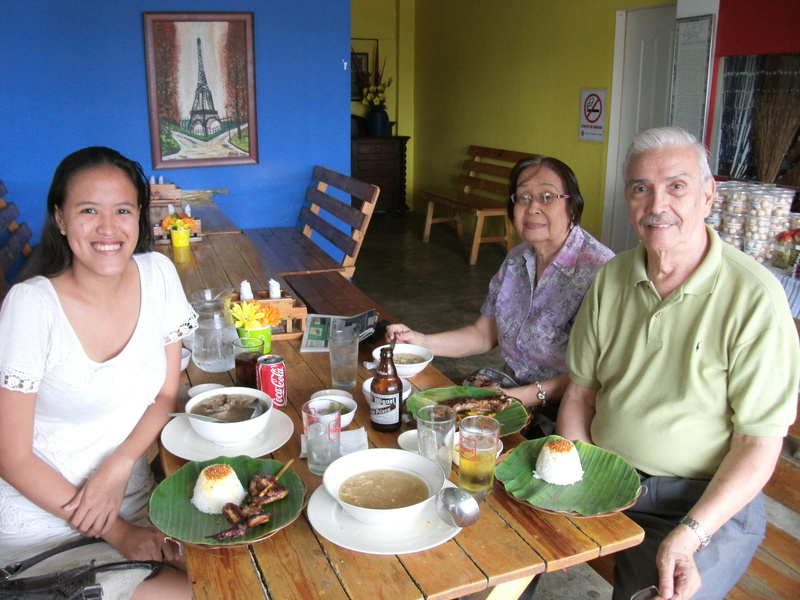 Usually, Lolo drives to Tagaytay whenever we have foreign or balikbayan guests. Aside from the lunch buffet, the cultural presentation is also a must-see. Good thing that the complimentary drinks can be claimed anytime. 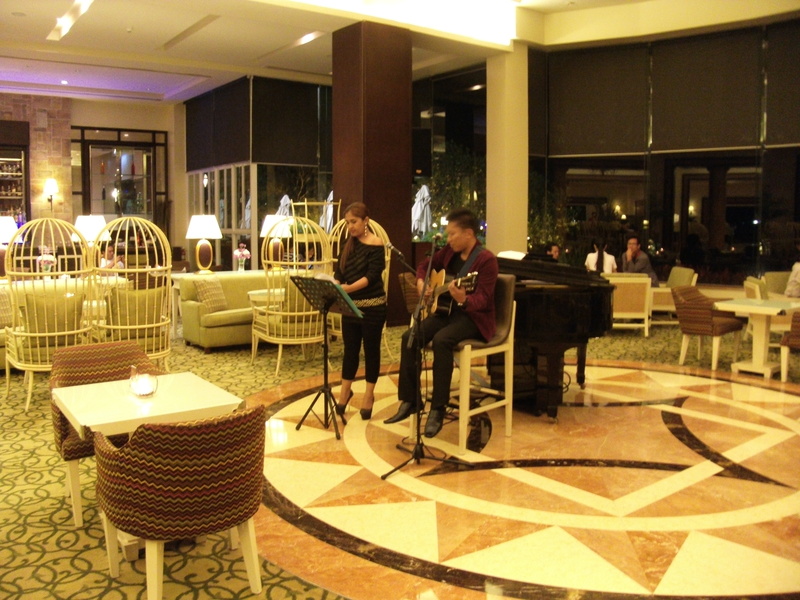 We went to the lobby area to enjoy some refreshments as a lounge singer performs easy listening love songs. 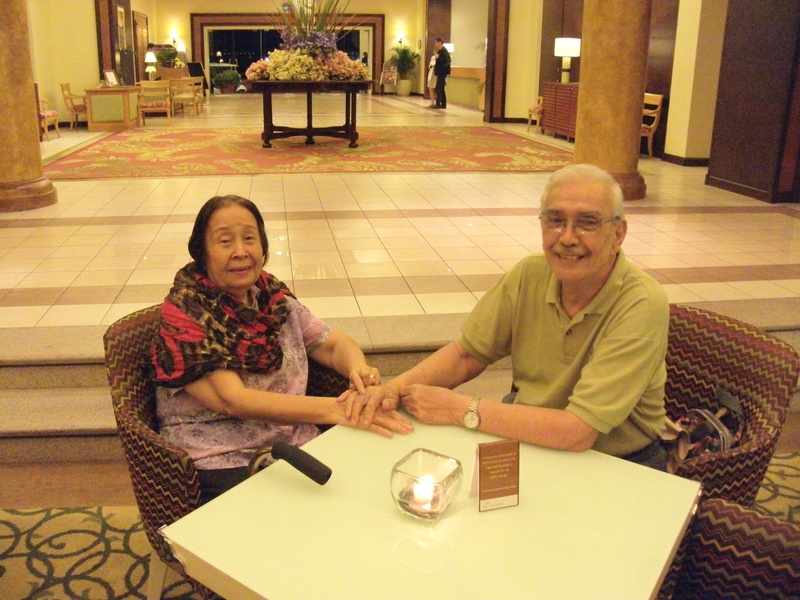 The truth is, I really admire the relationship of my Lolo and Lola. I also want that kind of love and commitment. Growing up, I witnessed their ups and downs as individuals and as a couple. I just admire how they still look at each other and still get kilig. I never get tired of their stories, no matter how many times they tell it to me. â€œYou must bring a boyfriend the next time you visit this place!â€ my Lola said. I almost spilled my drink. Secretly, I was wishing the same thing. This place is too romantic. Well, I just realized the romantic possibilities because of my grandparents. As I enjoy my solo moment that morning, I jot down notes at my handy notebook… Wrote down the things I am thankful for and what I am looking forward to for the succeeding months. â€˜Happy Birthday, Mica!’ Lolo and Lola greeted their eldest apo. I’m hungry and I am eager to invade the breakfast buffet! As what I promised to myself, I will eat what I want to eat for breakfast. I stayed there for two hours. It even reached the point where my grandparents were giggling because I am stuffing my face with too much foodâ€¦ too much food! 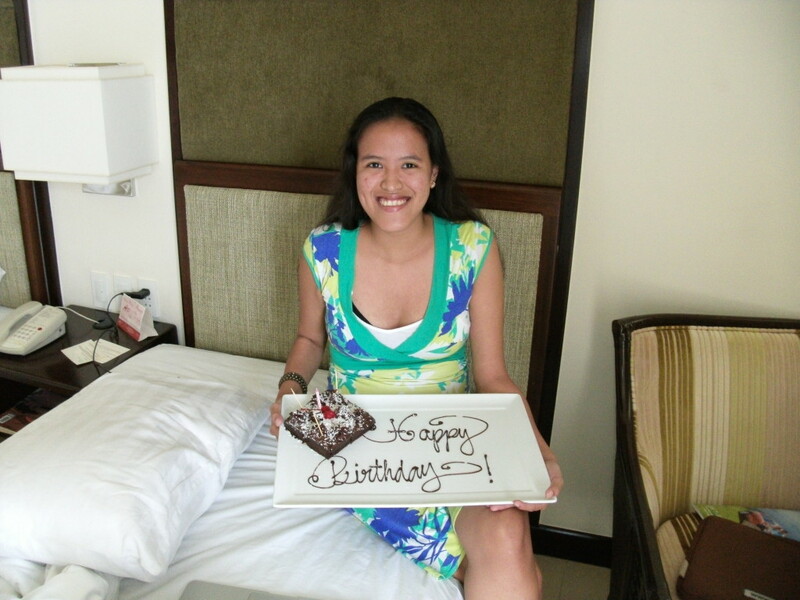 As we prepare for check-out, the staff of Taal Vista Hotel sent in a surprise birthday cake. Sweet! We left with a happy smile on my face. Yes, my desired birthday celebration happened. 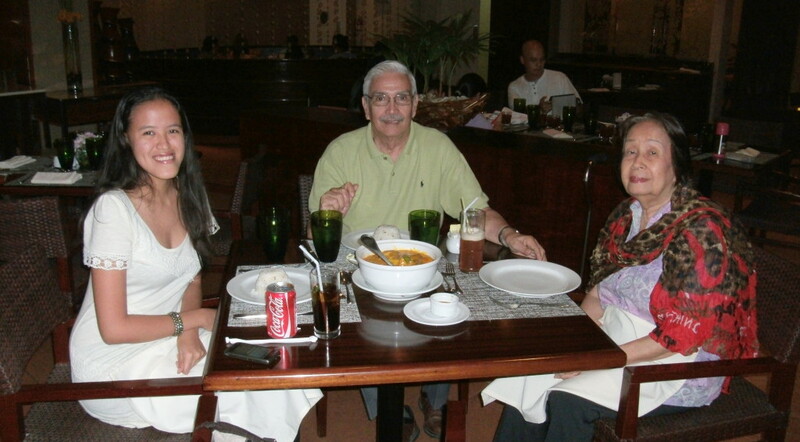 Thanks to Lolo and Lola for making it extra special! * I know this post is three months late, but I would like to remember every detail of my 26th birthday. I am still accepting birthday gifts. bow. Kelangan ko na ‘ata gumawa ng pact na hindi ako babalik dyan hangga’t wala akong bitbit na dyowa! lol! 😀 thanks sa greeting ateh! What a nice way to celebrate your 26th birthday Mica! Ano na yung play na gusto mong panoorin? I know you already watched the play that you’ve always wanted to watch. It was great to spend my birthday with my family and it seems like you did the same. You grandparents seem like great people. Those views are to die for and that place did look a little to romantic to be alone. Maybe next year you and your special someone will be there. Happy Be Lated!! How fun to travel with your grandparents! Haha. Relatives are always badgering me to find a boyfriend too. Except I just moved to the other side of the world for a year and now they’re less keen because they’re scared I won’t go back! Belated Happy Birthday… It’s always great to spend Birthdays with the one’s you love. It’s nice to see your grandparents. Looks like a very special birthday and awesome you spent it with your grandparents. Hayy this post is so heartwarming. wow.. very cool indeed. Looks like you had a blast! Happy Belated Birthday babe!